عندما تزور صن شاين كوست, ستشعر أنك في بيتك في Noosa River Sandy Shores Hotel الذي يقدم لك إقامة متميزة و خدمات عظيمة. يمكن من هنا للضيوف الاستمتاع بسهولة الوصول إلى كل ما تقدمه هذه المدينة النابضة بالحياة. إن سهولة الوصول من الفندق إلى المعالم السياحية الشهيرة الكثيرة في المدينة كمثل Noosa River Fishing Safaris, Noosa Catch Fishing Charters, Kayak Noosa هو استثنائي بحد ذاته. يقدم Noosa River Sandy Shores Hotel خدمات لا غبار عليها وكل أشكال اللياقة وحسن الضيافة اللازمة لإسعاد ضيوفه. إن واي فاي مجاني في جميع الغرف, مرافق مخصصة لذوي الاحتياجات الخاصة, تسجيل وصول/خروج سريع, تخزين الأمتعة, واي فاي في المناطق العامة هي جزء فقط من الخدمات التي تميز Noosa River Sandy Shores Hotel عن باقي الفنادق في المدينة. تتضمن كل غرف النزلاء وسائل الراحة والتسلية المصممة خصيصاً لضمان الراحة القصوى للضيوف. يقدم الفندق مجموعة واسعة من وسائل الراحة المتنوعة، كمثل: حمام سباحة خارجي, حديقة, غرفة ألعاب. مهما كانت دواعي سفرك فإن Noosa River Sandy Shores Hotel هو خيار ممتاز لإقامتك في صن شاين كوست. We were greeted by the hosts Jason and Amy who were very friendly, accomodating and offered lots of tips during our stay. Great location and great eating places to tantalise the taste buds. Although decor a little dated, great value for money and clean. Thanks guys! Thank you so much David for your wonderful review! We hope to see you again soon. We were very happy with the hotel. Although quite an old building it was clean & had everything we needed & the managers were lovely. These apartments are getting a bit dated but are very well maintained and clean. The new management is fantastic. They are lovely people and extremely willing to be helpful. The location of the property is in walking distance to everything that you would need. I can highly recommend it. Thank you so much Susan for your fantastic review! We hope to see you again soon. Location was excellent, with shops, restaurants and the river close by. Much better value than staying in Noosa, but there is no beach in Noosaville. We were short of a mop and reliable WiFi connection, but staff assured us both of these small problems will be fixed. Clean but needs a revamp. Would be more than happy to rate this as a good 3 star property. I expect more with a 4 star rating. Service was great! Very friendly and informative. Good value but not 4 star as advertised. The hotel is a nice self contained unit. The complex has a swimming pool (we didn't use it). There is even a nice spa at the bathroom of our room. The downside is that they don't provide shampoo or conditioner, which should be advised in advance, so you can prepare. 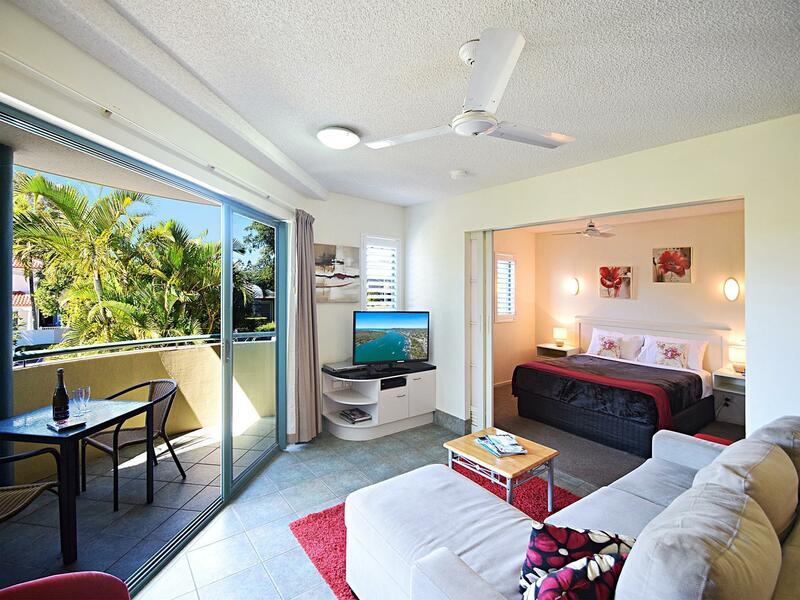 Besides that, this is a good option to stay in Noosa. Friendly staff. Close to the river.Clean comfortable rooms. Great, will stay again, good to get in from the dirt out west. Only one thing we didnt like that we had to empty all rubbish before leaving. on arrival we were so impressed with our bungalow, it was a newly renovated one (which is what we requested) and it was lovely. you get a hammock on the balcony which is great to just chill out in. the pools were great and the pool bar and restaurant staff were really good and helpful with my gluten intolerance. the only problem which we had was with the room servicing. twice, we had to ring housekeeping to see if they were going to come round as it had got to 1.30pm and they hadnt been. the way they made the beds was, to be honest, really bad. one of the beds was a sofa bed and it looked like it had just had the cover thrown back and that was it. they also didnt wipe down any surfaces or do the floors. one the last night we also found ants in our bed which was really unpleasant but we told a staff member at reception who was very apologetic and assured us that the matter would be sorted. overall, this didnt ruin our stay but it was just slightly annoying and may be a bigger deal to other guests. id say this is great for 'budget' accomodation though and we really enjoyed our holiday! 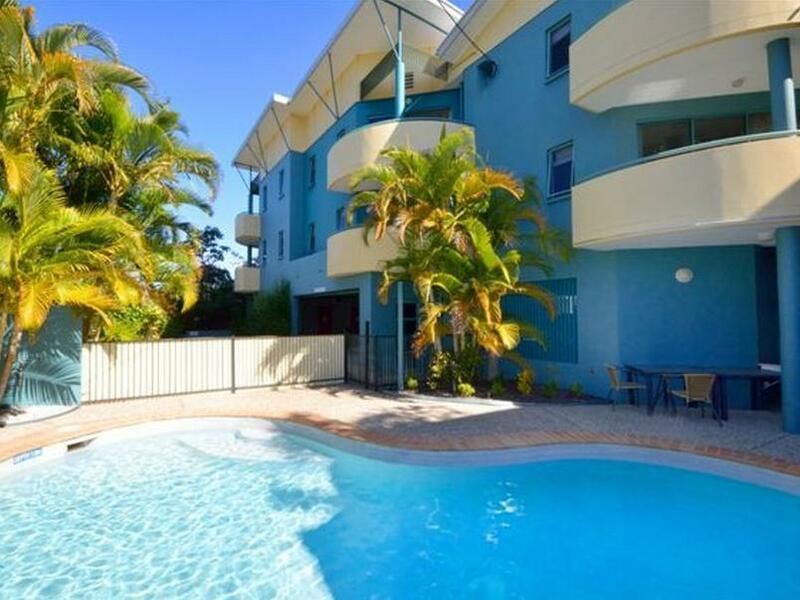 Nice hotel in a great location with easy access to noosaville. we were staying at this hotel because we were attending a wedding down the road so it was a very handy location and it had some nice restuarants for breakfast the next morning!